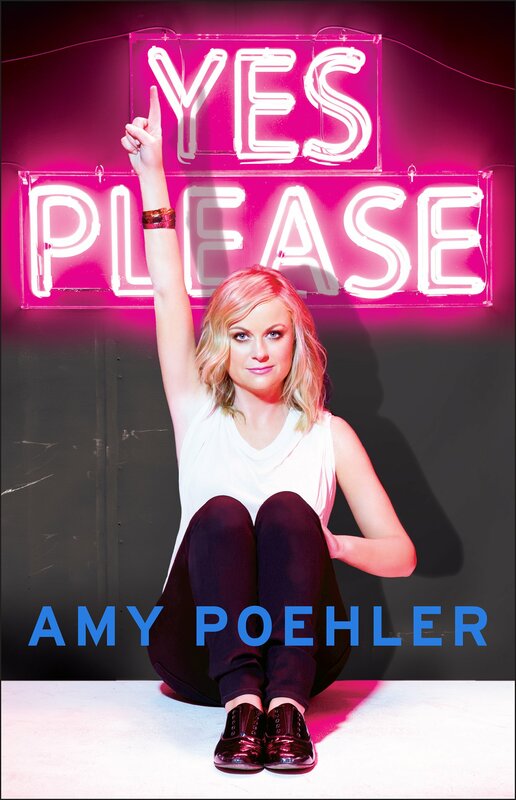 Have you read Amy Poehler’s, Yes, Please? It’s fantastic. I read it in book form first and then listened to the audio version on Audible (You can try it for free!). Amy reads it herself and I HIGHLY recommend it. There’s something so great about hearing her speak her own words. She knows best how to deliver each line and I got so much more out of it the second time around. Plus she has special guests read their own chapters (i.e. her mom and co-stars. I don’t want to give too much away!). I knew how funny Amy Poehler was before reading her book, but I had no idea how insightful she can be. She shares wisdom on her career, motherhood, being a woman, getting divorced and life in general with such sincerity and foresight. She has so many good quotes, I kept having “aha” moments as I listened along. The chapter on her two boys was my favorite. She speaks of them with such warm reverence. You can hear her heart overflowing with love for them. She made me so excited to be a mom. I’m pretty sure I teared up at least once. There’s so much good stuff going on in this book– clearly I loved it and I think you will too. I am reading this at the mo! Santa brought it for me, and he chose well! Excited that The Lady Herself reads the audio, will have to listen. I absolutely loved this book, and now I’m considering the audio version too! It did really feel like I got to know her better, even though she was resolutely against sharing too much personal information (divorce, etc). Solidifies my love for her and my sadness/excitement that the final season of Parks & Rec is right around the corner…. I read that book right when it came out – so good!! If you haven’t read Tina Fey’s “Bossypants” yet, I would highly recommend it. Also, Mindy Kaling’s “Is Everyone Hanging Out Without Me?” is HILARIOUS. It might be my favorite of the three! Glad to hear you liked it! This is on my list of things to pick up from the bookstore. Haven’t read it yet, but I hear great things about it. I must pick it up now! this book was unbelievably fantastic!!! it changed my life honestly! Sounds like a great book, I love Amy Poehler! Will definitely have to give this a read!